Self defense gadgets for hiking, hiking personal safety is paramount these days. Not all self defense things are legal but this one is. The bad guys know you are mostly without help while you are hiking so you can become easy prey. Learn about the defender self defense tool and see what you have been missing in your own personal self defense plus the defense for your family. This is an earlier clip rig and now we have our new Kydex holsters for our self defense weapons. Clip version of a self defense weapon for hiking. and now we have our new Kydex holsters for our self defense weapons. 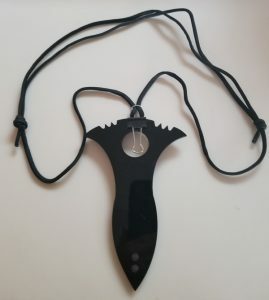 Neck cord as a shoulder holsther for your self defense weapon. A great way to carry your defender self defense weapon on the side! Clip version with neck cord. Hiking with a defender: self defense gadget! 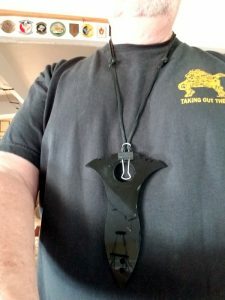 Self Defense Weapon on a neck holder for hiking. When to carry a more aggressive self defense tools is a question we get a lot. Well, one thing to ask yourself is if you call for help, how long is it going to take to get to you? This is the basis of a more aggressive tool and to have it at the ready. The idea is that when you are out where even if you call for help you won’t get it for well over 10 minutes then it’s time to really defend yourself. If you have to defend yourself at a time like this, you want to do as much damage to the attacker as possible; all in the shortest length of time too. A more aggressive self defense tool is a must for you; in these types of situations. 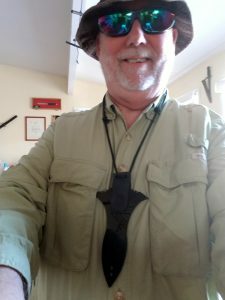 I like to carry the defender 2 with me on a neck holder cord as seen in the picture to your left. This particular holder is a kydex design that captures the “hole” in the defender and holds it in place until you “tug” on the weapon to deploy. Well this particular design isn’t available anymore, but I have a “binder clip” version that I have tested out and found it more than works! Neck cord with binder clip that will hold any self defense weapon. 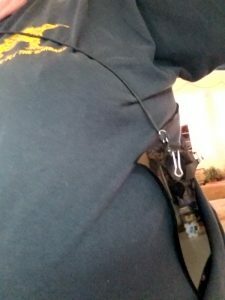 You can use the binder clip approach to make a lanyard that will fit on your pants, shorts, as well as; many other places. I will have a blog post just for this later. But the neck cord design has two knots that slip in one direction but not in the other. So, when you pull on the self defense tools for deployment the neck cord “binds” so the knots don’t slip, and you can deploy without any issues. However, this design also allows you to slide the knots together to make the cord longer and thus you can wear it like a shoulder holster. 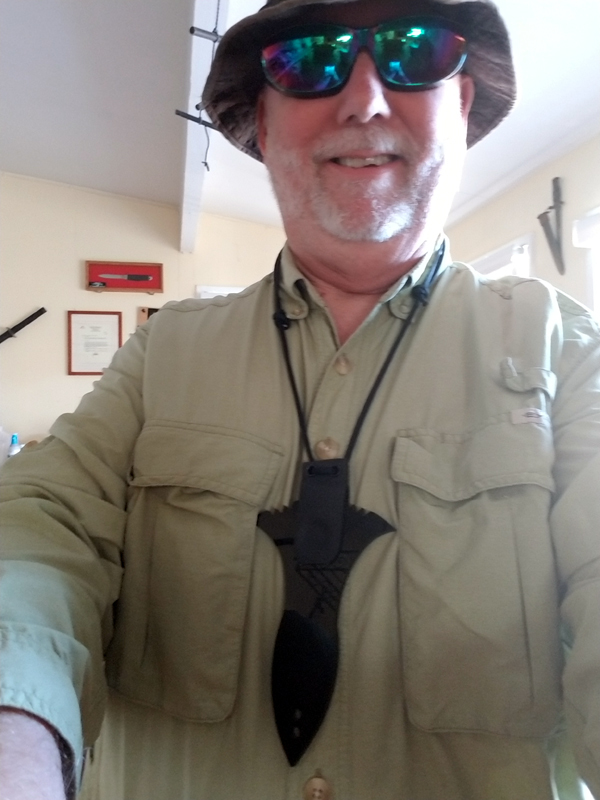 Neck cord extended out to make a shoulder holster for your self defense tool. This is a great option to take your defender with you where ever you go. I will have instructions and or purchase info on the website shortly. Enjoy!